After the Citizenship (Amendment) Bill, 2016 (CAB) had lapsed in Rajya Sabha on Wednesday, festive mood grips the members of All Assam Student Union (AASU), Asom Jatiyatabadi Yuba Chatra Parishad (AJYCP), Krishak Mukti Sangram Samiti (KMSS) and other protesting organizations in Dhemaji of Assam. Leaders of the protesting organizations have expressed their happiness after the Bill was lapsed in the Rajya Sabha earlier on Wednesday and opined that it was a victory for seven states of Northeast who have been vehemently opposing the passage of Citizenship (Amendment) Bill, 2016. 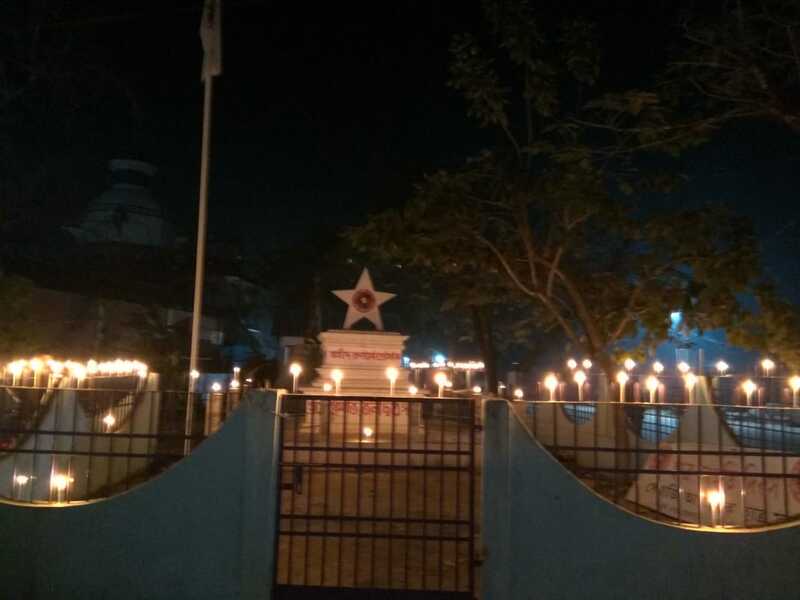 A large number of activists of AASU gathered at Swahid Nyash near Dhemaji police station on Wednesday evening and celebrated ‘Vijoyi Utsav’ (victory celebration) by lighting earthen lamps and bursting crackers there. The AASU, which is spearheading protests against the Bill, said that it is the ‘historic win’ for the people of Assam. Likewise, Dhemaji district committee of AJYCP, KMSS and members of other 28 organizations, who joined the movement against introduction of CAB, separately conducted celebrations at their respective offices. Same situation has been reported from Jonai sub-division under the district, where Jonai unit of AASU, AJYCP and others observed the celebrated and shouted slogans against Prime Minister Narendra Modi, Assam chief minister Sarbananda Sonowal for their support towards the bill. The CAB was not tabled on the floor of Upper House, as it did not get Rajya Sabha nod on Wednesday. Rajya Sabha chairman and Vice President M Venkaiah Naidu has adjourned the House sine die. As the Rajya Sabha failed to pass the Bill this time, it would have to be cleared by the next Lok Sabha again. The BJP government at the Centre has been pitching for the early passage of the legislation.